The ICIS PP USA price forecast report, produced by the ICIS Consulting team, provides an ‘at a glance’ view of the market to support your short- to medium-term decisions. As well as providing a wealth of useful data on current and historical prices, the report includes the forecast prices for both Polypropylene and Ethylene, for the following 12 months, to help you understand where prices are heading. The ICIS Polypropylene (PP) USA price forecast report features a concise, easy-to-read 4-page format that includes all the details needed to support you in making confident commercial decisions within the USA PP market. This report covers current and forecast prices, raw materials prices, supply, demand and capacity information, regional import and export data, trade flow forecasts, and margins. 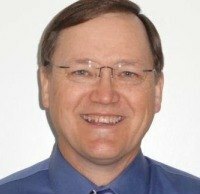 To discuss the methodology applied and to understand more about the forecasts, subscribers to the ICIS PP USA price forecast report can talk directly to the report author – ICIS consultant, James Ray. ICIS is the world’s largest petrotrochemical market information provider and has fast-growing chemical, energy and fertilizer divisions. 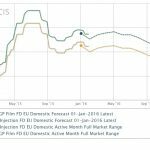 The ICIS Polypropylene (PP) USA price forecast report is an essential tool in making buying and selling decisions. By subscribing to the report, you will be able to stay ahead of your competition by getting the information you need to assess the market in the short-to-medium term.